Parenthood. What an amazing adventure. It's filled with goofy giggles, stress headaches and everything in between. It will push you beyond limit but will reward you with a love beyond belief. What wonderful time in life! 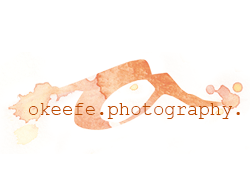 Here at OKeefe Photography, we love capturing the family in each phase of life. From teeny, tiny babies, to the full-grown teenager, we know every stage is special. We know it's important to document your family's growth, so we've created some fun events. Check them out on our Events page. We love laughing with families, acting silly with kiddos, and capturing some truly special moments.